Ejaculated out of his eyes! 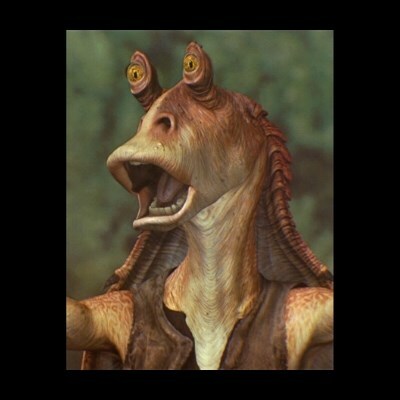 so yousa be seeing moy moy more of meesa in episodes vii, viii and ix! ME - SA! ME - SA! ME - SA! ME - SA!